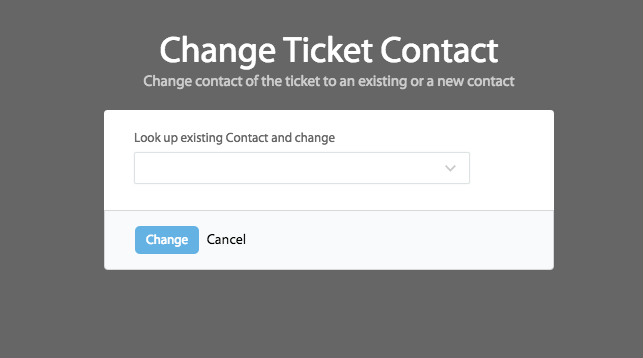 HappyFox allows you to change the contact associated with the ticket. Go to the desired ticket details page. Click More Actions and select Change Contact.